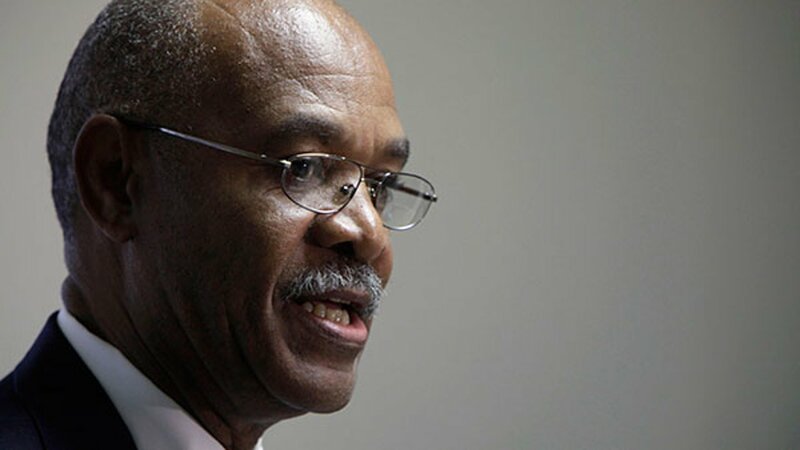 CHICAGO (WLS) -- Simeon Wright, Emmett Till's cousin who was with the Chicago teenager the night he was kidnapped and lynched in Mississippi, has died at age 74, his family confirmed. Wright's wife said he died around 9:40 a.m. Monday after a battle with bone cancer. Wright was with Till in Mississippi visiting relatives in 1955 when Till allegedly whistled at a white woman in a convenience store. He was awoken the night of Till's kidnapping by two angry white men, who ordered the teen out of bed and accused him of flirting with their relative. Till was kidnapped, murdered, mutilated, and dumped in the river. His mother chose to hold an open casket funeral in order to force the public to look at the violence done to her son. It is considered one of the galvanizing moments of the Civil Rights Movement. Wright spoke about Till's funeral in 2005 after his body was exhumed for DNA testing to confirm his identity and then reburied in a cemetery in southwest suburban Alsip. "It brought back a lot of memories. I can remember in 1955, I saw Emmett go out of his room. I never got a chance to go to his funeral, but today I got a chance to close that part of history," Wright said of the reburial at the time. Wright's wife said the family is making funeral arrangements and have not finalized any of them.